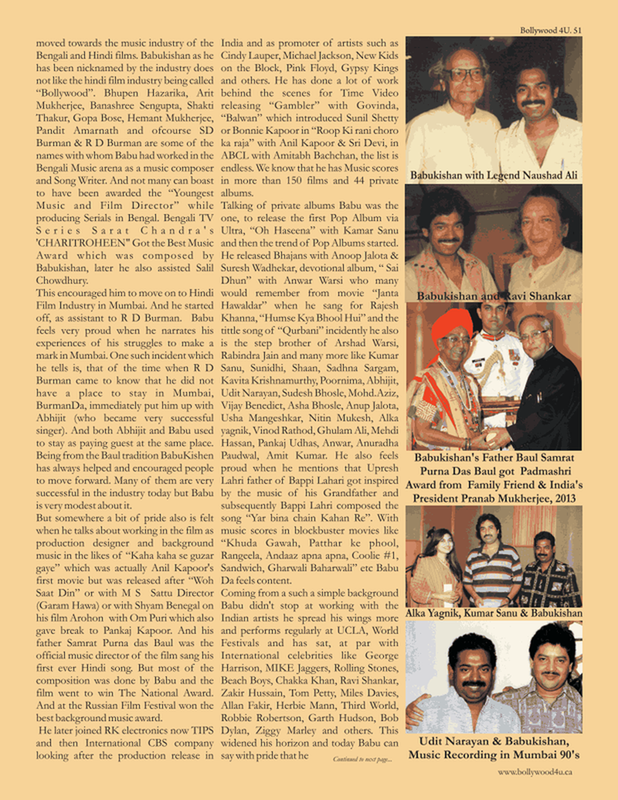 Babu Kishan categorized all the Music of India for all the top Music Companies in Bombay India Late 1970's, 1980 - 2006. He was there when they all started and he was the expert. Babu Kisha has been fundraising for many people including the 'Tagore Societies' Worldwide - fundraising for the Ramakrishna Vedanta Societies Worldwide. 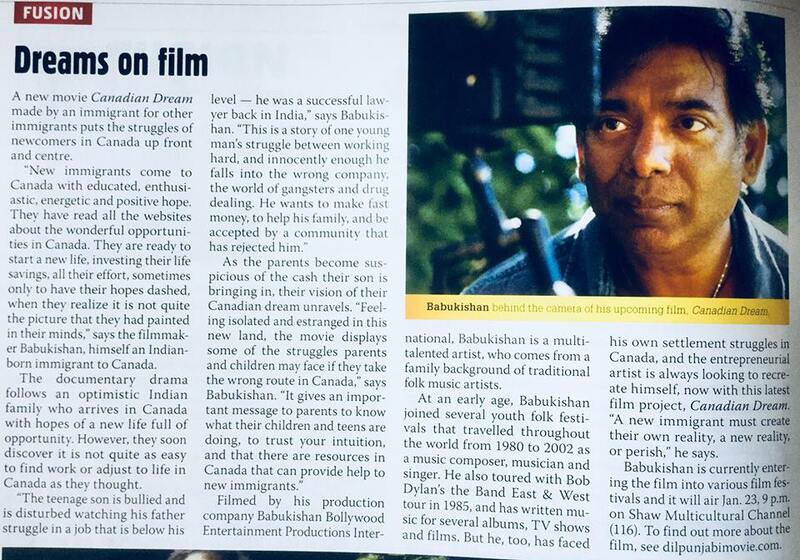 For 45 years Babu Kishan has been Fundraising for many Communities, Temples and Societies, Seniors and Children, the Bangladesh Floods, Hurricane Katrina and more. RELEASED 500 ALBUMS "PRIVATE AND INDIAN CINEMA"
​Babu Kishan aka Krishnendu Das has been a Cultural Representative of India for 45 years appointed by the Government of India (not self appointed), traveling through India and Worldwide for the Indian Government as a representative of Indian Culture since 1970 with ​Sangeet Natak Akademi ​"Indian National Academy of Music Dance and Drama" & ICCR "Indian Council of Cultural Relations"
Krishnendu Das Baul aka Babu Kishan is an expert in the 'Folk Music of Bengal and India'. He was a Music consultant in the 1980's, 1990's to 2005 for CBS India and other Top Indian Music Companies in Bombay's Indian Cinema (Bollywood), he was specifically hired to categorize all of India's 'Folk and Classical Music'. 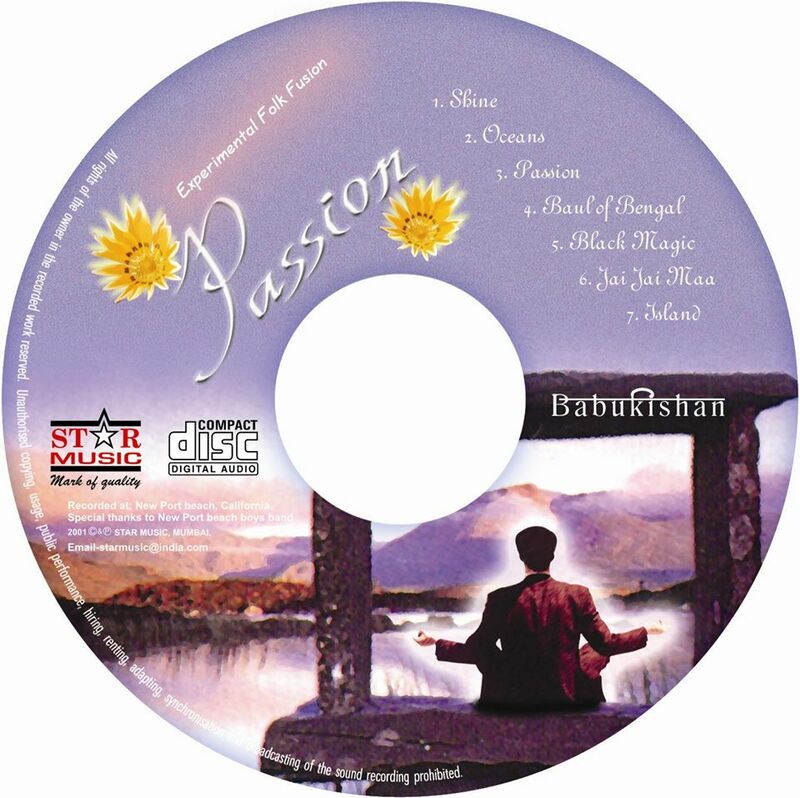 Babu Kishan is an expert in the Music of India and the languages of India. 1978 – 1990 HMV - Composer, Writer of Music for famous India singers. 1986-1993 CBS - Music Producer, Creative Director India, promoter, of artist such as Cindy Lauper, Micheal Jackson, New Kids on the Block, Pink Floyd, Gypsy Kings, released all Bob Dylans Albums in India and Asia, including many many others. 1991 -2004 Digital Music Studio – Owned & Operated Babukishan – Composer, Music Production for Film. 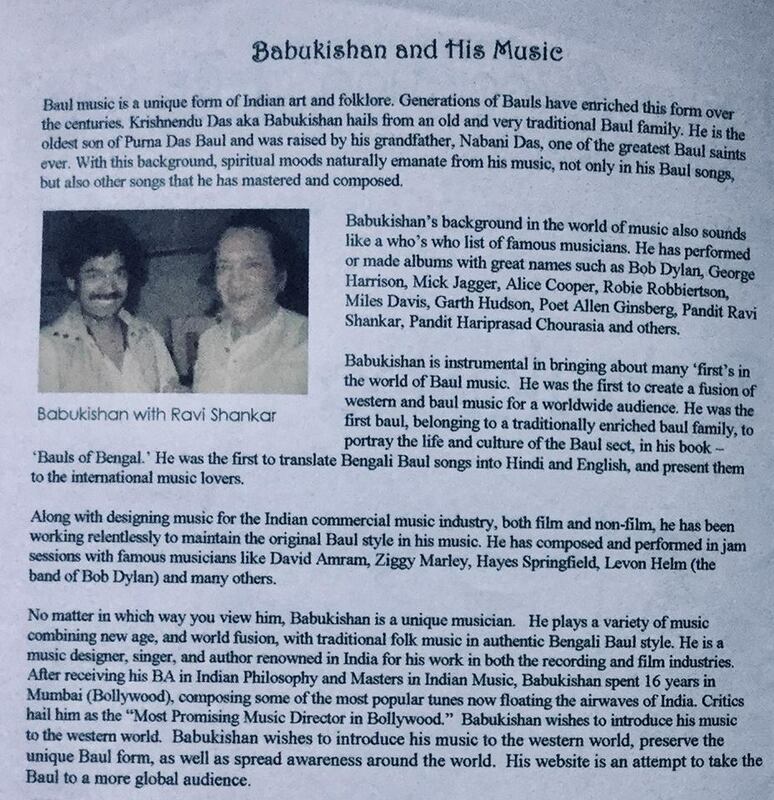 Babu Kishan was a Artist & Repertoire (A&R Manager) for film and music, a manager from concept to release, quality controller, talent search, contract, over seeing the whole film and music, promotion and sales of film and music. He has profitably successful marketed and sold 300 Films and 500 Albums Indian Cinema all top labels. Composed, Produced, Sold and Marketed at least 60 of his own albums. He is an expert at Creating Film from the start to the selling it successfully at the end. 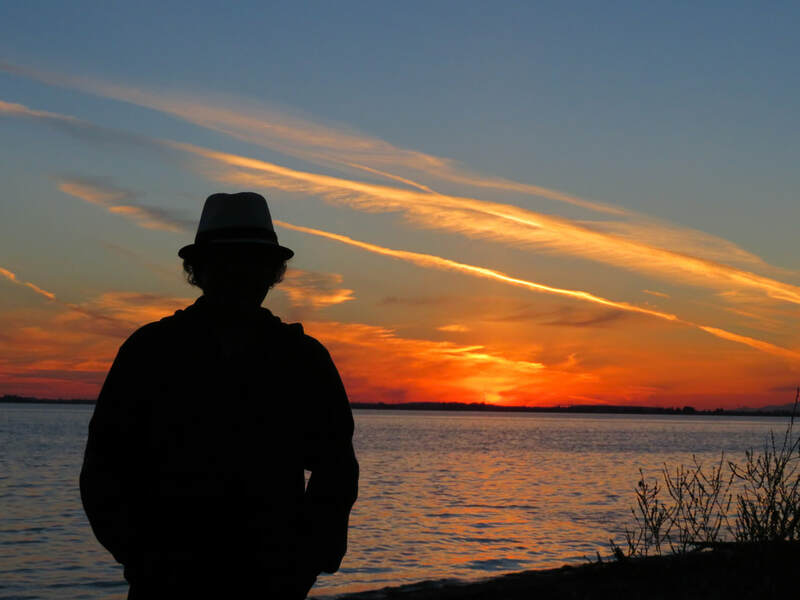 He is a Master Music Composer Producer from beginning to end sales and has been successful in the business of Film and Music for over 40 years. 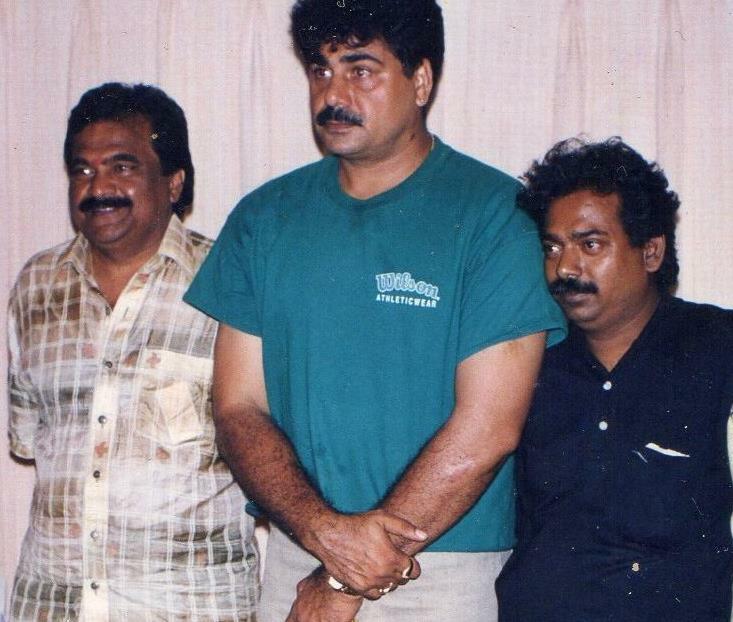 Babu Kishan Produced and sold Film Rights for Super Hit Albums & Films. by Babu Kishan. 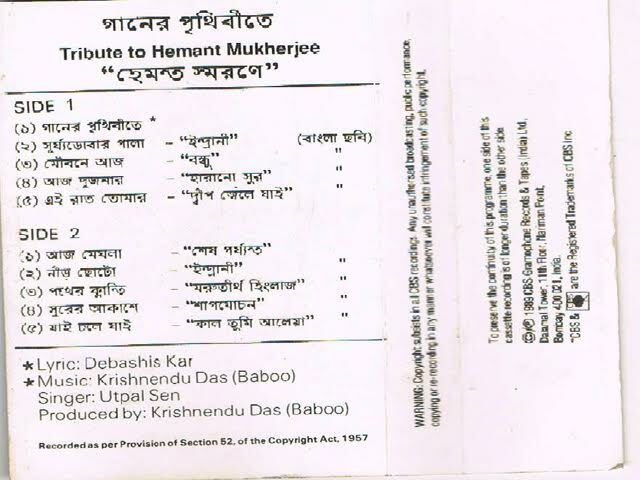 Babu Kishan aka Krishnendu Das was only 21 when he composed and recorded Vande Mantram. 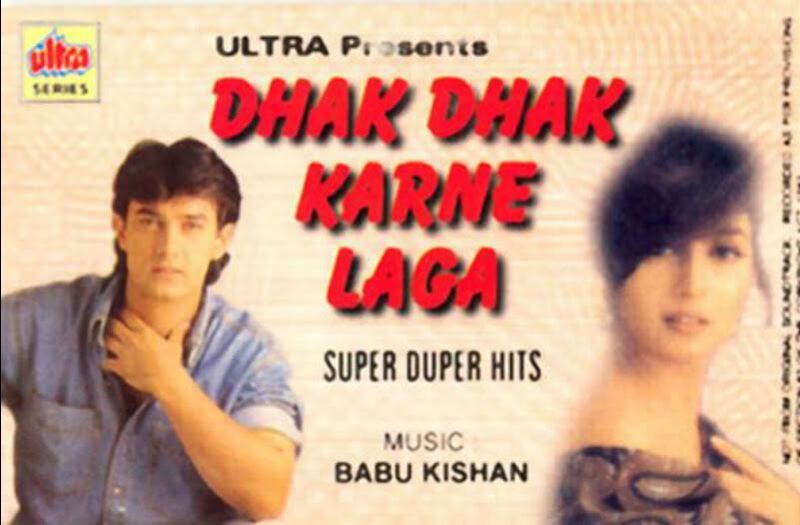 This is Babu Kishan Music, Produced, Recorded and Composed in 1983, released 1986. This sound track was a super duper hit in India. Babu Kishan was the first to take the name the album 'Pyar Bhara Khat' for an album, now it appears many have? 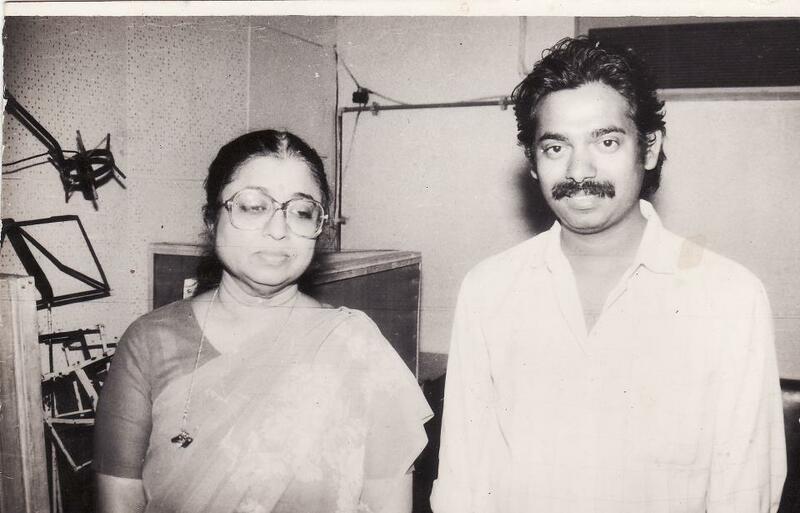 Over 40 years of Indian Cinema (1978 - 20019) from a very young age Babu Kishan had mastered Music, awarded the Youngest Music Composer in the 1970's in Bengal as a very young teen. He has jammed with the Rolling Stones, George Harrison, Bob Dylan, The Band, Tom Petty, Brian Wilson (Beach Boys) and many more. He has composed for all of Indian's top singers, musicians and performed in front of millions including Presidents and Prime Ministers of India. 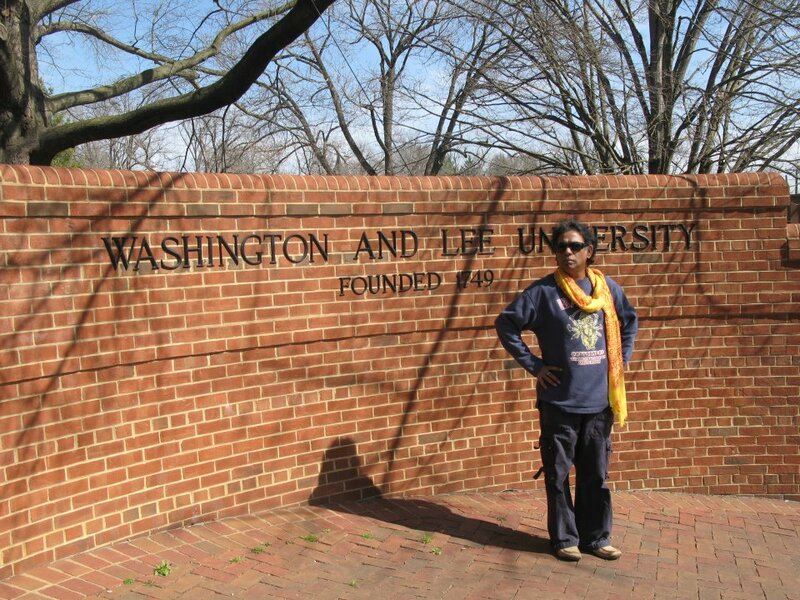 Humanitarian & Indian Cultural Ambassador traveling the world since the 1970's before the Internet, lecturing at Universities around the world for decades. ​My Work is My Worship! ​another 20 or more to come. ​New 2018 Music to be released too. Stay tuned! You can listen to Babu Kishan's other Music on, under KD Baboo, Baboo, Krishnendu Das KD Babu Kishan and Babu Kishan: same guy many names. 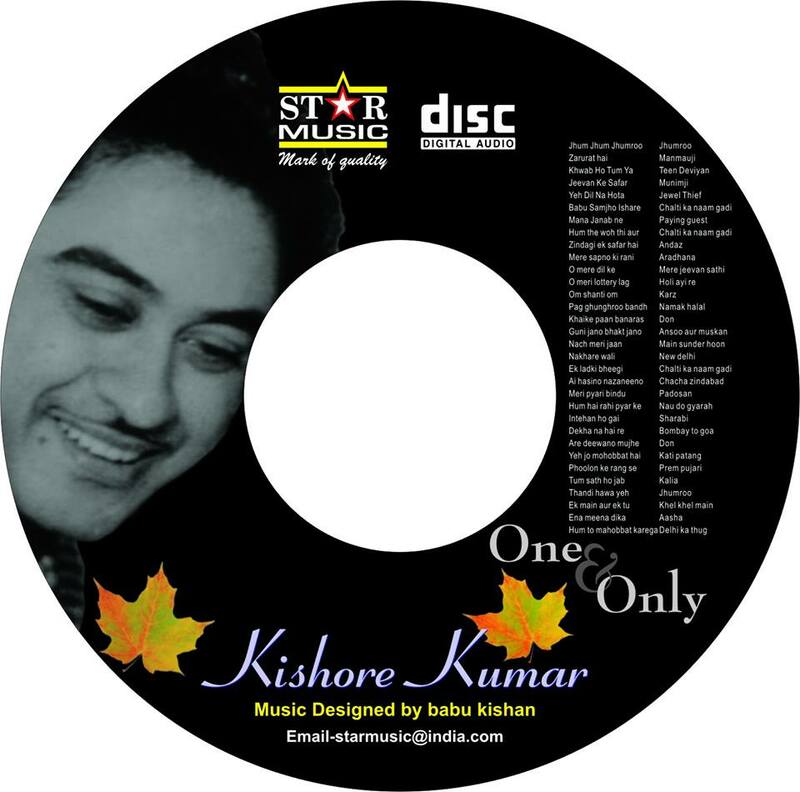 The above Music Record Companies own 28 or more albums of Babu Kishan Music. Babu Kishan as Krishnendu Das was the Music Director, Composer, Principle Music, Background Music and Film Designer of this movie, he won the Best Music in Russian Film Festival. Please see blog post for story! 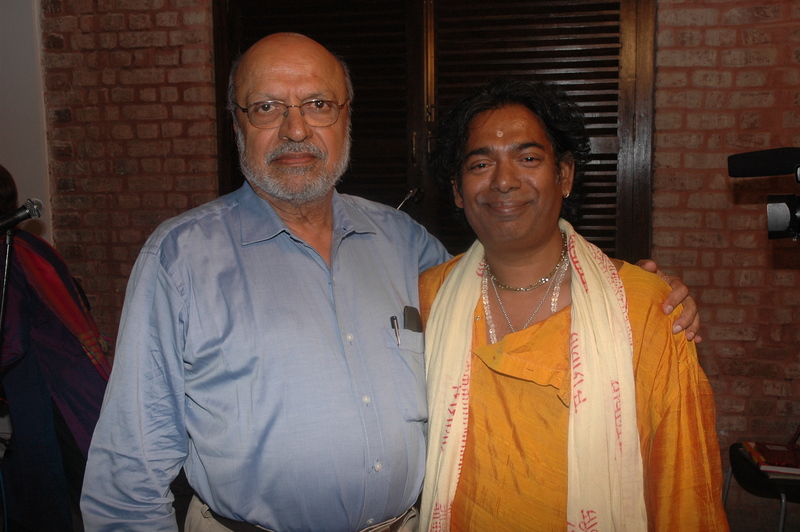 Babu Kishan is still #77 out of 80 Music Composers in India from the 1980's. ​Back in the day you had to pass an exam be signed by Legends and be Recommended by Legends! You are not just a Music Composer by saying you are a Music Composer. To be a Music Composer is the highest level in Music and you must be very successful and have many successful compositions over many years. Babu Kishan was Signed by Legendary Indian Music Legends. 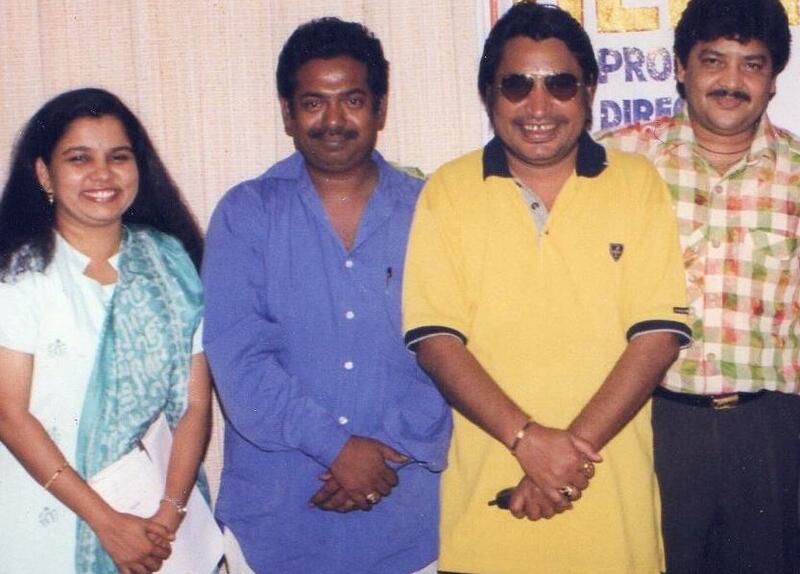 Babu Kishan is the only person Ravindra Jain allowed to compose music for him personally. 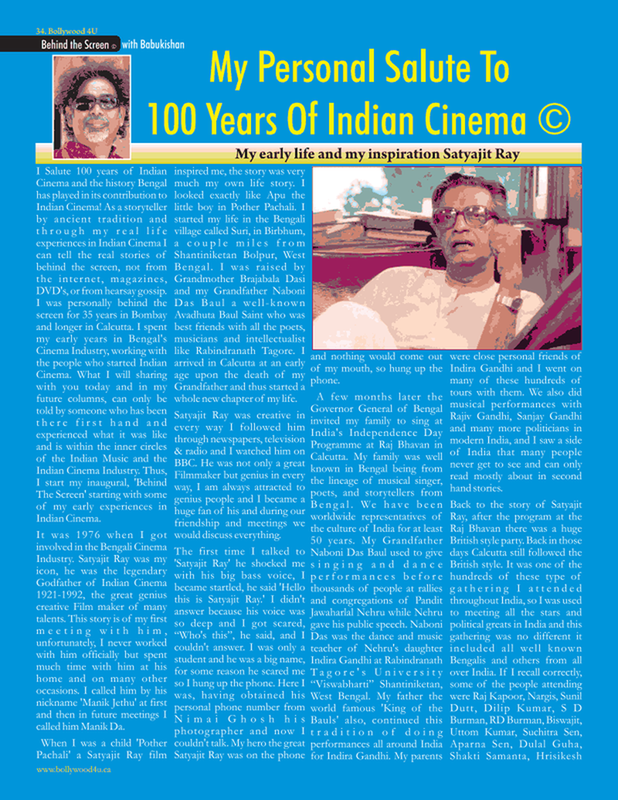 Ravindra Jain was a Gem of Indian Cinema, a Sanskrit Pandit, he was the Ramayana TV series Music Director. All the top Loved him. back then it was not so easy. Back in the day you actually had to be a accomplished qualified 'Music Composer' with a successful body of work. Master Music Composers were educated in Music to the highest level. To even qualify you had to pass an exam. 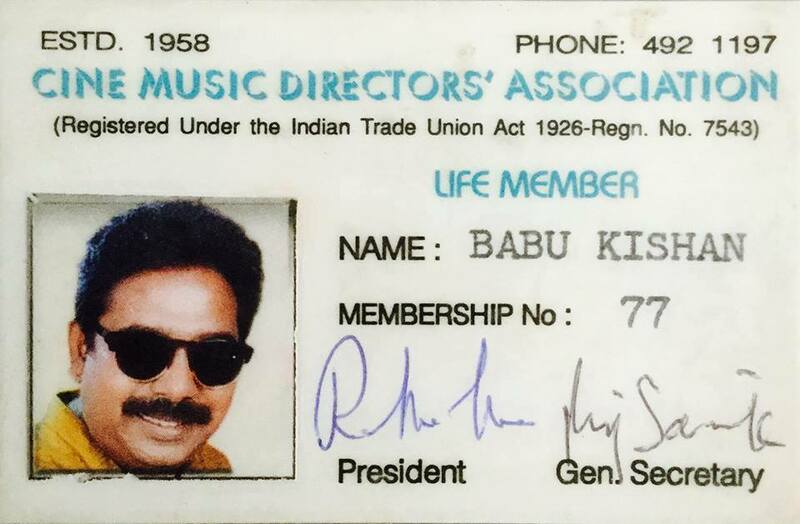 You had to prove yourself to the biggest 'Music Directors in India' and they had to refer you. You had to be an accomplished Music Composer not just a Music Composer by calling yourself a music composer. It was very difficult there is no way you could say I am a Music Composer and pay a fee or a bribe, the ethics and standards were high. from Calcutta University. He had been composed for decades before he was accepted as a Music Composer. 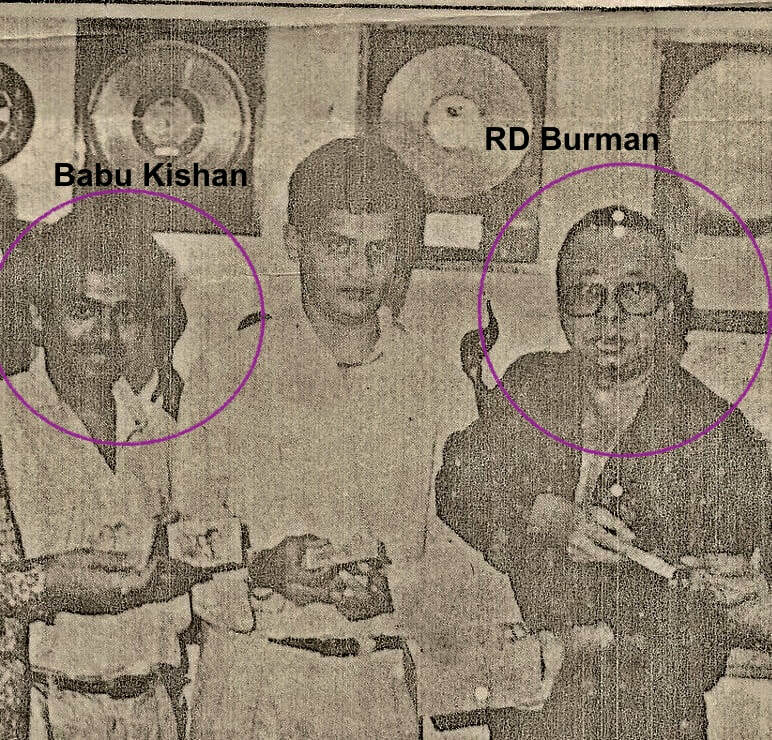 Babu Kishan was RD Burman's Assistant & Friend for 13 years in Bombay, and many years before in Calcutta. 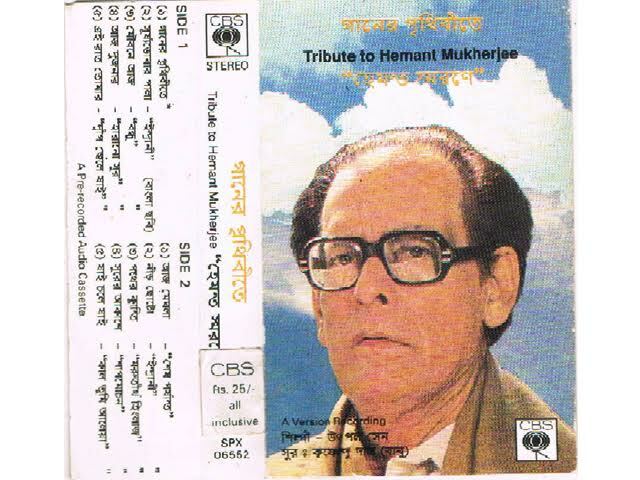 SD Burman his RC Burman's father was a huge fan of Babu's Grandfather Nabani Das Khyapa Baul. Indians first Performing Rights Association that Babu Kishan was part of the start up: C stands for Composer but he is also, an author of 3 books and will have his B for Books on his update. ​He is author of thousands of lyrics and poetry. 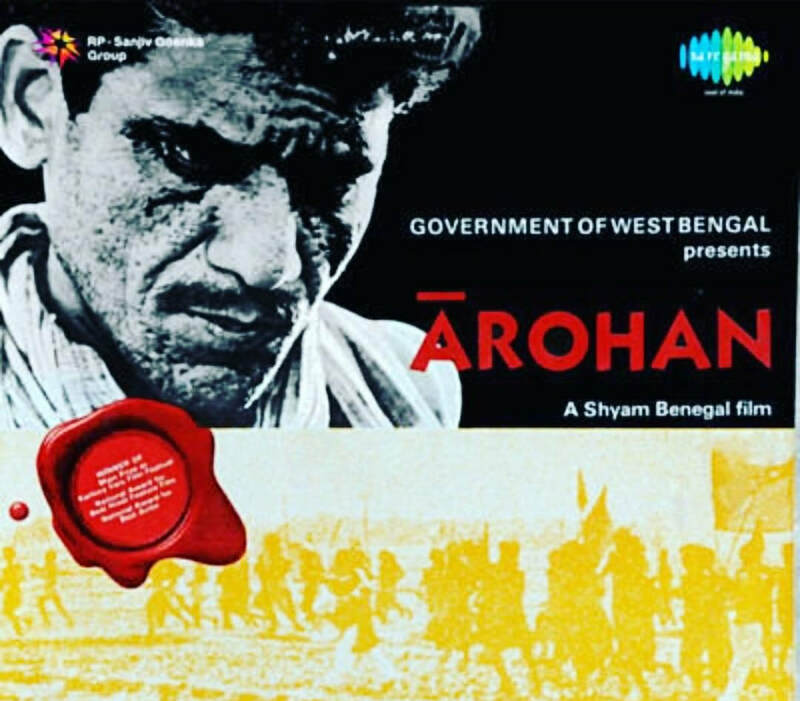 An Award winning Music Composer and Film maker, early in his life he was awarded, "The youngest Music and Film Director in Bengal" in 1978 in the 1980's he was highly awarded. Babukishan recieved many awards for his Music Compositions in Bengal under the name Krishnendu Das even before he arrived in the Bombay, he only used the name Babu Kishan when he left Bengal for Mumbai. ​In 2007 he received a 'Lifetime Achievement Award for his work in Indian Cinema (Bollywood). Peace & Cultural Ambassador of India, 40 years around the world. This whole album is the 'first Hanuman Chalisa' ever recorded in the history of India. It was recored by Babu Kishan he composed the music, arranged it, it is sung by his late friend Hari Om Sharan and played in all the temples in India. 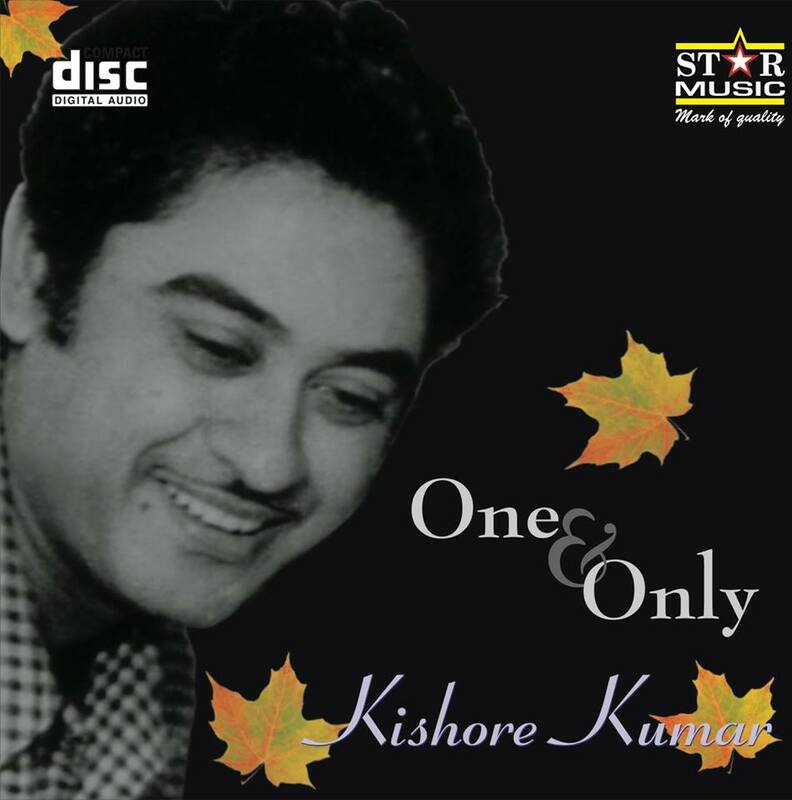 It made the record company millions but not a rupee for Babu Kishan or the late great Hari Om Sharan. When Babu first recorded it nobody wanted to buy it but sitting in his studio in Mumbai a person found it took it to a record company and sold it behind his back and disappeared. I post this from time to time as a reminder when we get back to Mumbai to get a lawyer and take the record company to court. Babu wants me to forget it but I won't let it go. 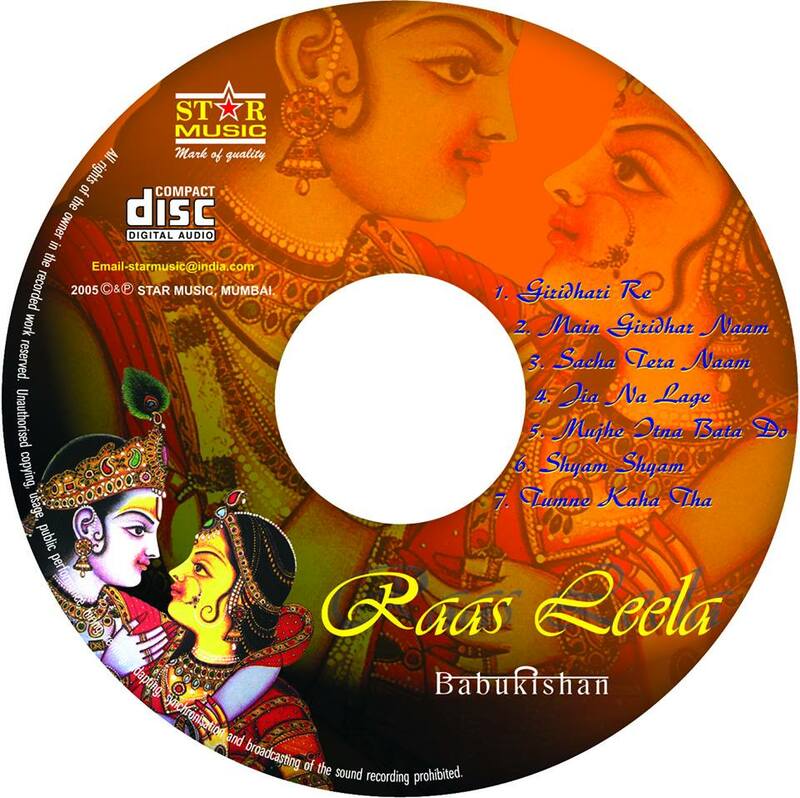 Babu Kishan is the mandolin player on this album the mandolin is one of some 15 instruments he has mastered. 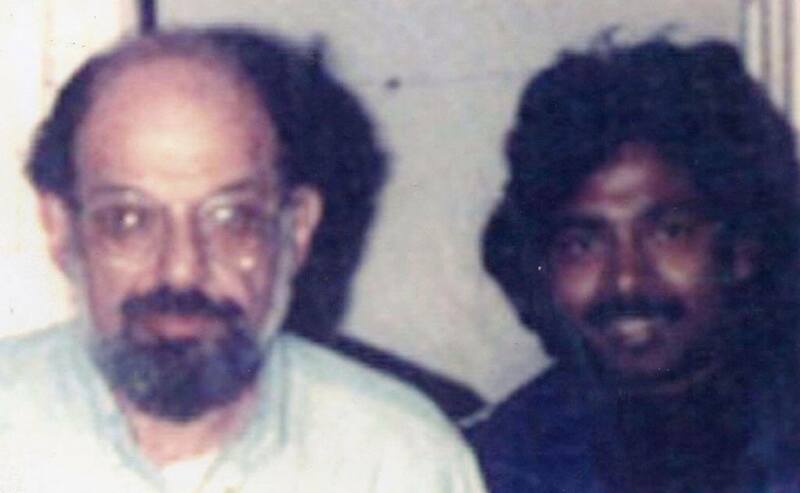 The American Poet Allen Ginsberg & Babu Kishan The Indian Poet, they had a 2 decade friendship - see the blog for more details. Babu Kishan link on allen Ginsberg.org / misc..
Poetry written by Allen Ginsberg for Babu Kishan, This is the only Baul Poetry Allen Ginsberg wrote. 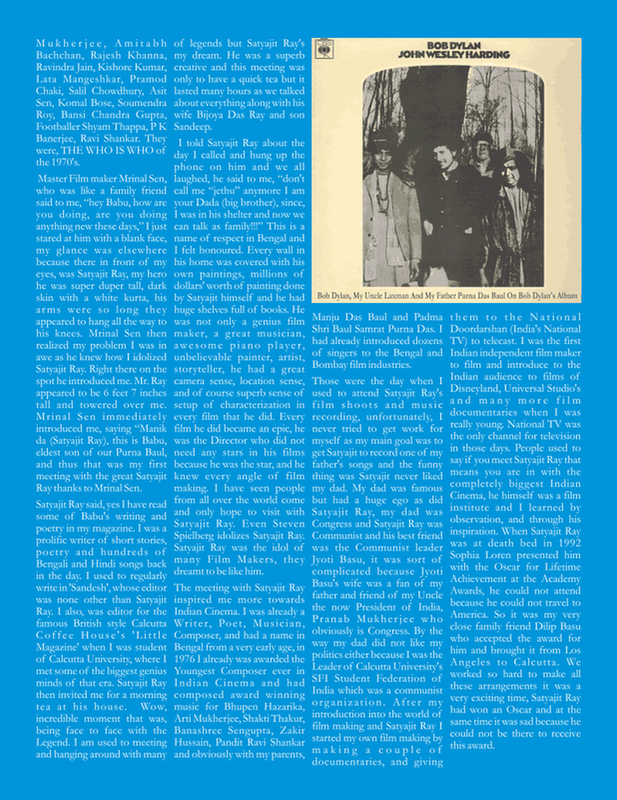 Babu Kishan composed the music for the original in collaboration with Garth Hudson, Robbie Robertson, Levon Helm, (of The Band) Bob Dylan's Band for the 1985 tour of America in which Babu Kishan attended an American tour with Bob Dylan & The Band, singing Allen Ginsberg's poetry. This is the one and only piece of 'Baul poetry Ginsberg' wrote. ​'Bob Dylan and the Band'. He is the first Baul to take Baul Music from Hindustan Records to the World famous music label EMI and HMV and other record companies. Life long Fundraiser for various organizations and causes. 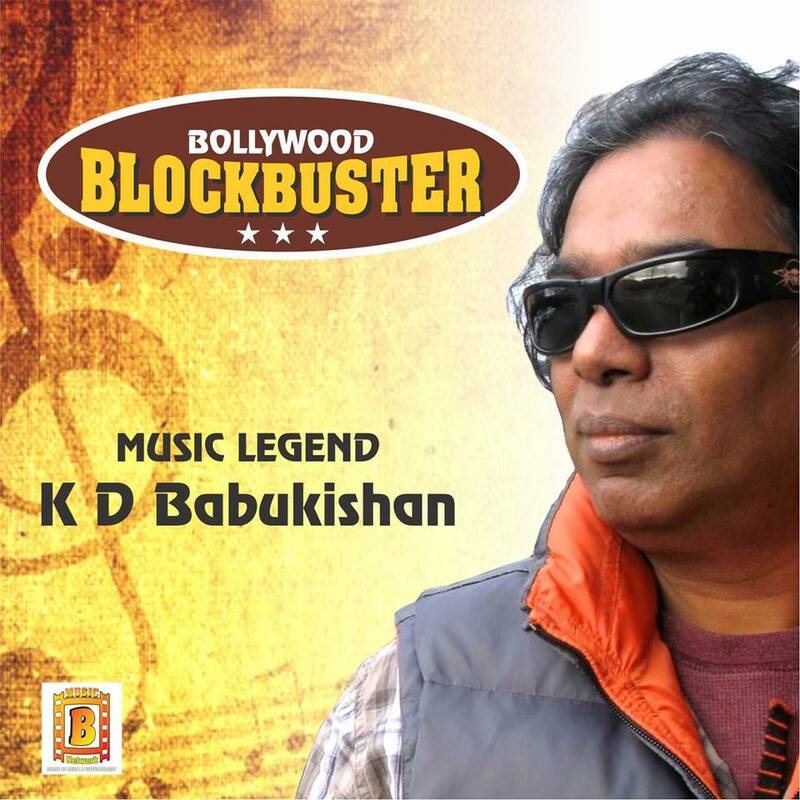 Babu Kishan released all Bob Dylans records in India. 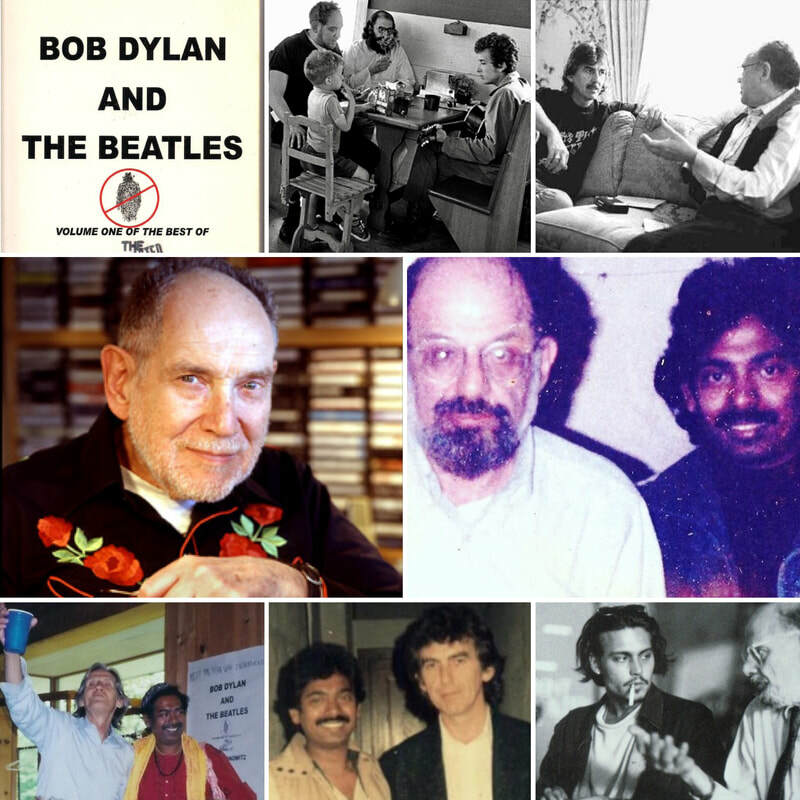 No one in India would know who or what Bob Dylan music was without Babu Kishan. RV Pandit 'Chairman of CBS India' which was later sold to Sony, asked Babu Kishan, 'why are you always promoting this guy Bob Dylan?" Babu has always been enthralled with Bob Dylan poetic songs since he came to know his father was on the cover of Bob Dylans album, "John Wesley Harding" 1967. 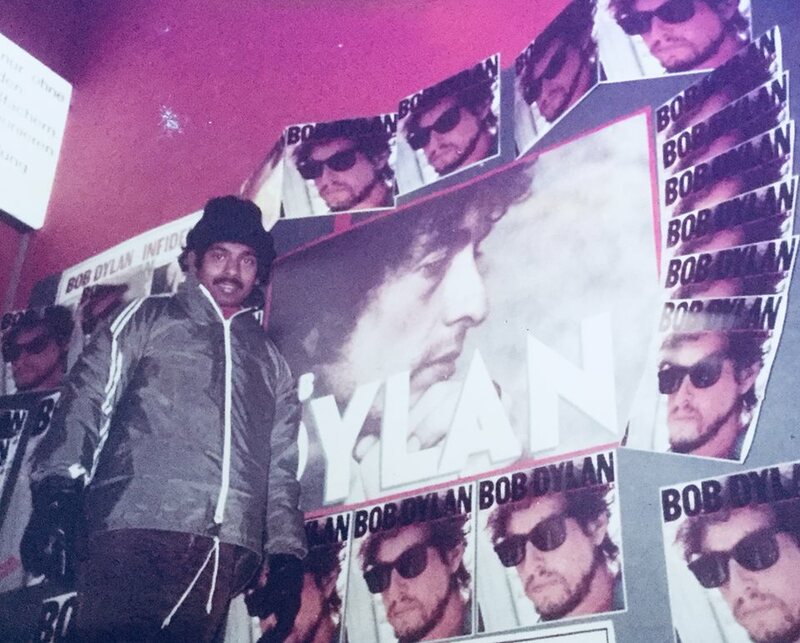 Babu Kishan was always inspired by Bob Dylan and he knew him personally and became friends with him. ​When Babu Kishan worked at CBS India he had tried to bring Bob Dylan to India, he could not get sponsorship or enough interest. Babu Kishan was influenced by his poetry and music. 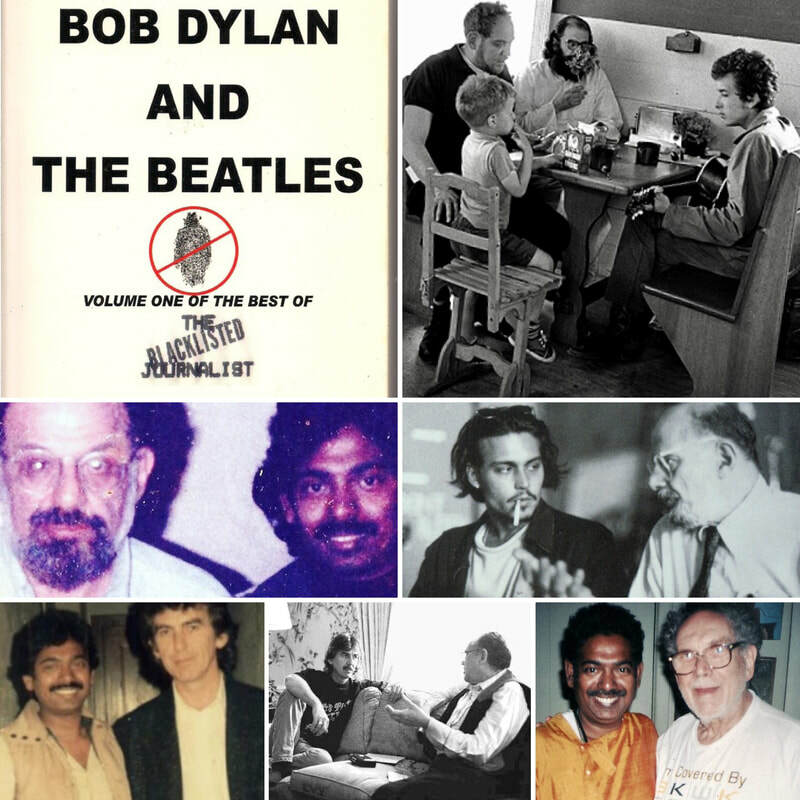 They had a regular connection through 'Al Aronowitz' who was the 'Father Rock Journalism in America' Aronowiz introduced 'Bob Dylan to Allen Ginsberg' & 'The Beatles when Bob Dylan'. Al Aronowitz of the Blacklisted Journalist, was a very dear friend of Babu Kishan's and they would talk daily. Al in New York & Babu Kishan in Bombay & Babu would visit once a year in New York along with Allen Ginsberg. All the above 'Bob Dylan' records released, marketed and promoted by 'Babu Kishan' in India and the rest of Asia. ​one is an old web site unactivated and the other is Who is Babu Kishan. In Garth Hudson's album (The Sea to the North), Babu Kishan played percussion and was the Indian Music supervisor to for this album. Garth Hudson was part of Bob Dylans (The Band) as was Levon Helm.Both Garth and Levon were great friends of Babu Kishan's for years since the early 1980's, this photo is in 2002. ​"Comment by Bob Dylan's drummer the late great ​'Levon Helm' of 'The Band'. Levon was watching Babu's playing with music at Levon's recording studio. Babu Kishan was a long time friend of Levon's and Babu Kishan was his Indian Drum teacher. ​​"Babu is not only a traditional authentic Baul but an extra ordinary genius personality." This is in Woodstock NY at Albert B Grossman's studio for the launch of Al Aronowitz's (the father of Rock journalism) the man who introduced Bob Dylan to the Beatles. ​ Babu with Levon Helm. 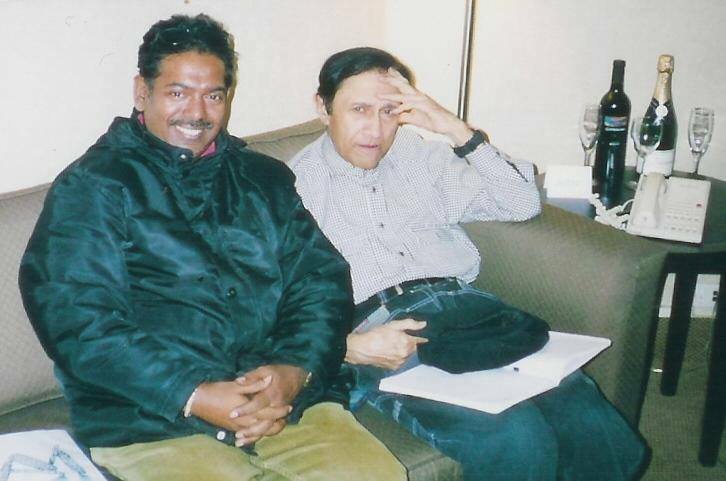 Babu knew Levon Helm going back since the early 1980's, this picture was taken in 2004. Babu Kishan at Bob Dylan's home in Woodstock playing on Bob's piano, early 1980's. 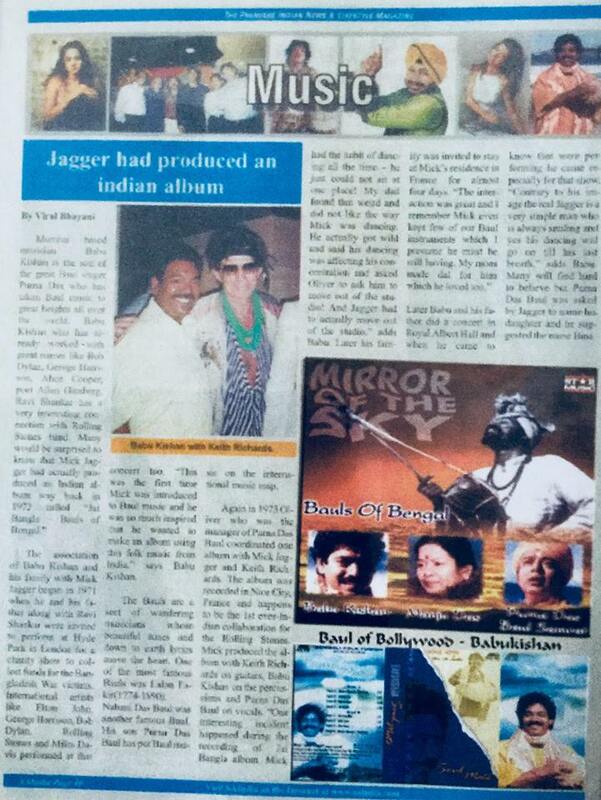 Babu Kishan released all Bob Dylan's music in India and the Asia Zone, that is how anybody in India new about Bob Dylan. Babu Kishan CBS. The first recorded Indian nine planets, it was included in the first telemarketing for Astrology in India. Recorded and produced by Babu Kishan. The model for the project was Bollywood actor Jackie Shroff and Babu's good friend from Bombay. 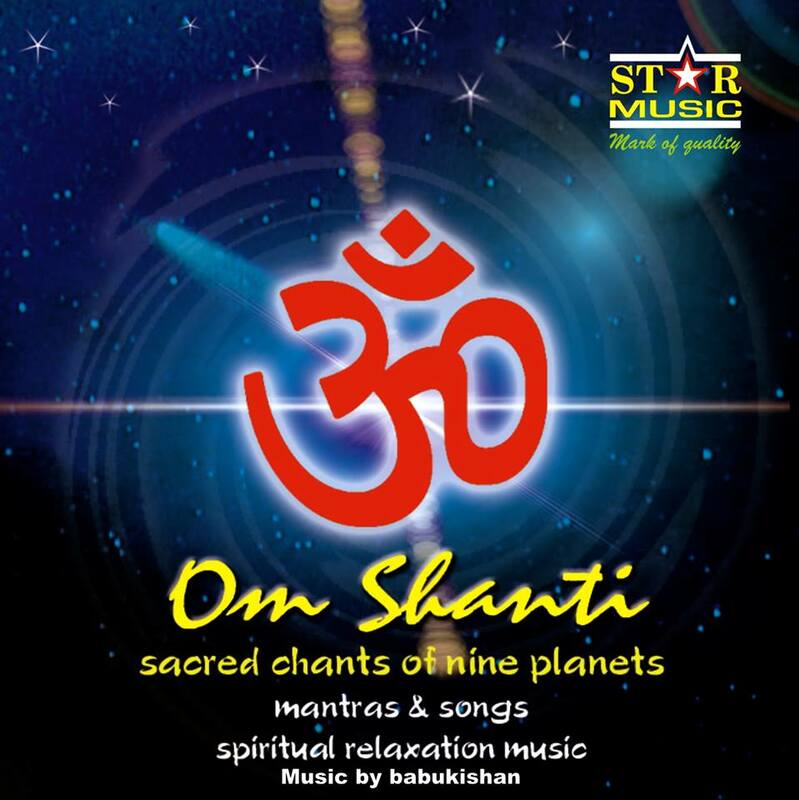 ​Today everybody is recording the planets, Babu Kishan was the first, the chanter is well respected Pandit from Allahabad named Mohan Maharaj, this recording led him to be one of the most popular spiritual chanters at India's at Indian's first telemarketing company. Babu Kishan aka Krishnendu Das was only 22 years old in this photo, 1984 and was already famous in Bengal for his poetry, music and the youngest awarded the 'India's youngest Music Composer' real music composer as in already having mastered 'Indian Music' playing all the instruments, with hit songs. There were no computers in those days. Lila Roy was a Texan who married the Famous Bengali Poet Ananda Shankar Roy, even though Lila Roy was in her 70's she was a great friend and Babu remembers her fondly. ​Babu Kishan always associated with elders as he found them great intellects. Recorded in 1967 at the Big Pink in Woodstock, this is Baul History and the first time a Tantric Lineage came to America, Purna Das Baul is the first famed Indian Vocalist to come to America. This first recorded Hanuman Chalisa is now very popular all over the world. Babu Kishan is the first person to record the Hanuman Chalisa this is the very first Hanuman Chalisa. Music and Tune produced by Babu Kishan. However, this album was stolen from Babu's Mumbai recording studio by a back stabbing villain who sold it to this record company. This Hanuman Chalisa is is played in every temple in India. Babu Kishan never received a rupee. 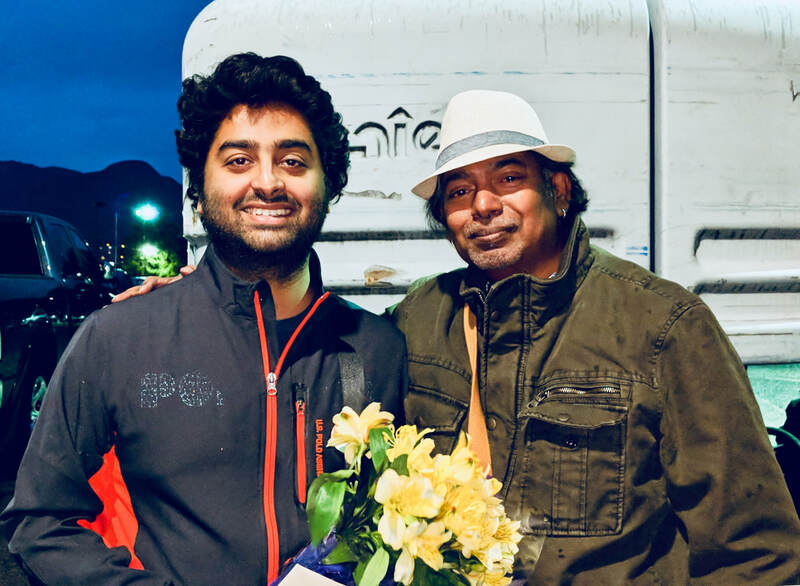 Hari Om Sharan has passed, they were going to re-record. So much love and devotion went into this recording. Babu Kishan's spiritual music is heard in all the temples of India he is the first person to record the Hanuman Chalisa singing by Hari Om Sharan, he has recorded and composed music for many from start to finish: all successful music. 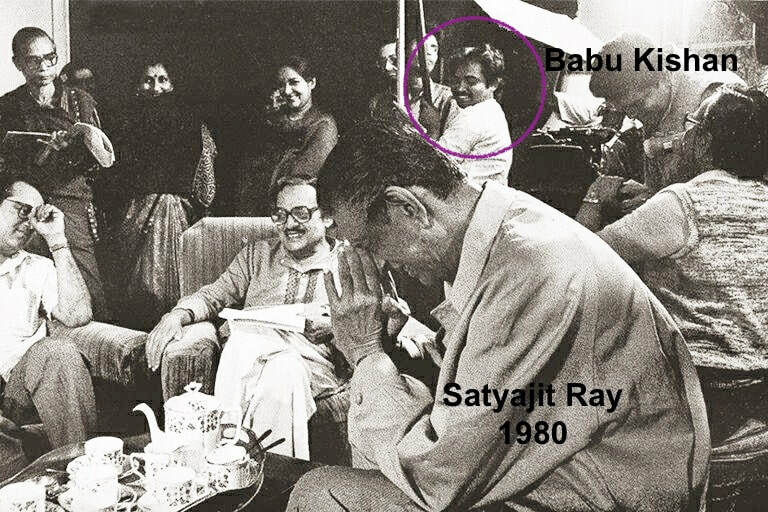 Satyajit Ray the father of Indian Cinema and Babu Kishan whom he knew as Krishnendu Das sitting above Satyajit's neck with a smile on his face, the topic of conversation that brought smiles to their face was, the soul has no religion! 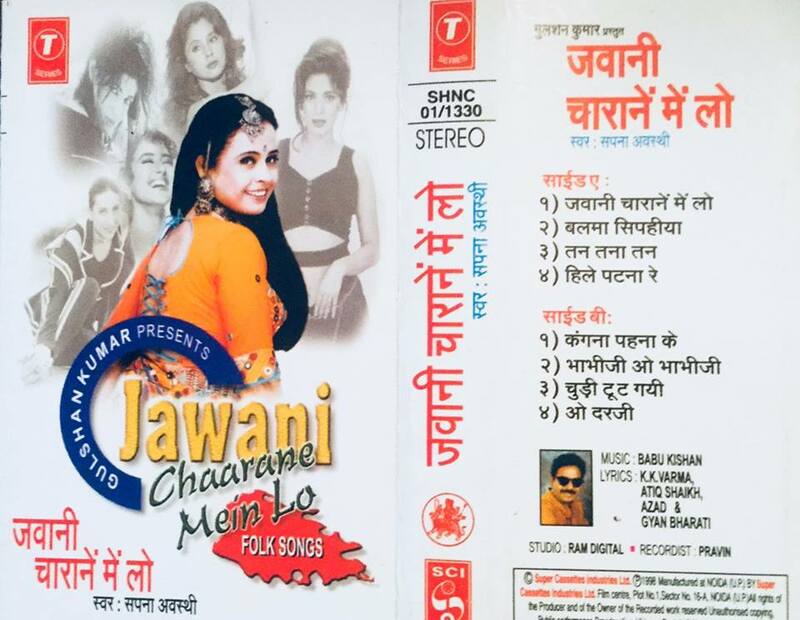 Babu has created more than 60 albums in Hindi, Bengali, Sanskrit, Bhojpuri, Punjabi, Gujurati. Rajastani and English with reputed music labels as, Universal Music, EMI, Polygram Music, CBS, Star Music, Sony, HMV, T-Series, and TIPS music and film label, he has composed for feature film music and background music, private albums, Documentary films. He has composed music for more than 150 musical film scores. 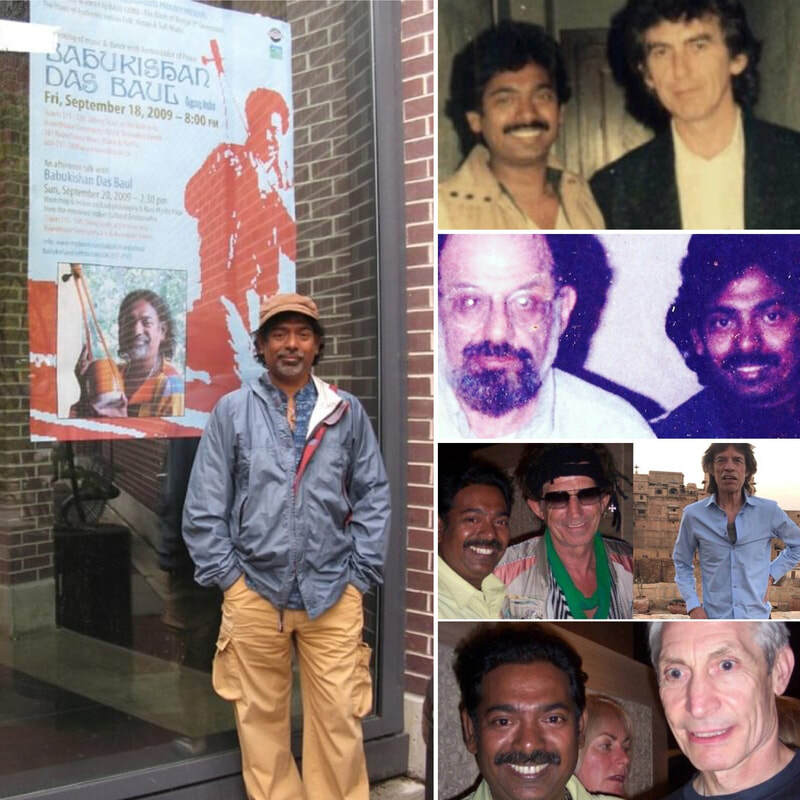 He toured with Bob Dylan’s & The Band in their 1985 tour jamming with The Band and attending and singing Allen Ginsberg's one and only piece of Baul poetry that he wrote for Babu Kishan. 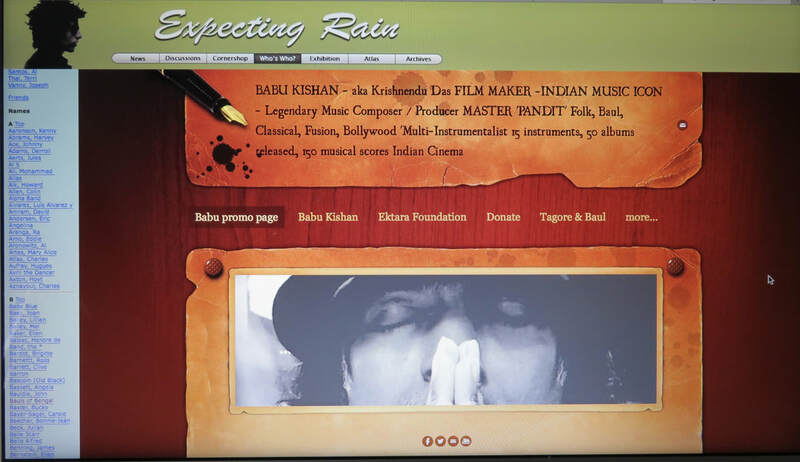 Babu Kishan has performed and recorded with Western music industry greats such as George Harrison, Rolling Stones, Beach Boys, Chakka Khan, Ravi Shankar, Zakir Hussain, Tom Petty, Miles Davis, Allan Fakir, Herbie Mann, Third World, Bob Dylan's the Band Robbie Robertson, Levon Helm, Garth Hudson, Ziggy Marley. 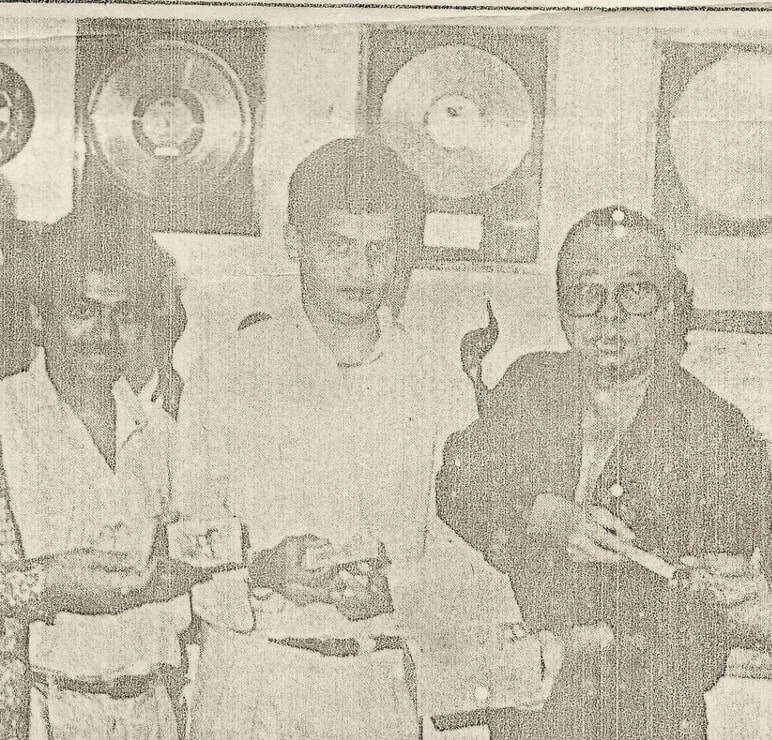 R.D Burman was Babu's Bollywood Guru and friend for more than 13 years. RD Burman's father SD Burman was a super fan of Babu's Grandfather Nabani Das Baul. Babu Kishan is rare, he has been to the top and has witnessed India through 5 decades though the eyes of all the top in Indian Music and Film he has met them, worked with them traveled with them. Politicians, singers, actors, and he was state singers for Indira Gandhi, Sanjiv Gandhi and Rajiv Gandhi as part of the family personally traveling all over India hundreds of times. ​His Grandfather Nabani Das Khyappa Baul was Baul Guru dance teacher to Indira Gandhi and state artist singer for Nehru during the Indian Independence movement. He has done hundreds and hundreds of travels throughout India performing. 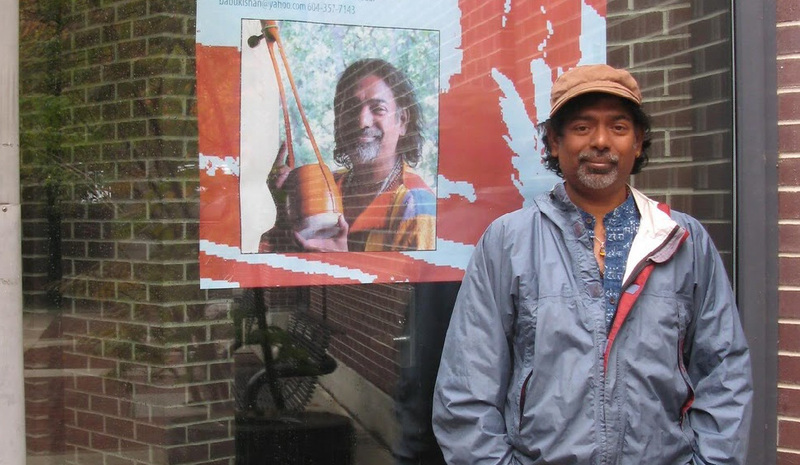 Babu Kishan is the first Baul to lecture at Universities around the world. As a 'Paid Qualified' Lecturer on Babu Kishan's, one and only Lineage of Baul. Many scholars wrote their thesis with the help of Babu Kishan aka Krishnendu Das and many only know him as Krishnendu Das. Babu Kishan is his Indian Cinema Name. 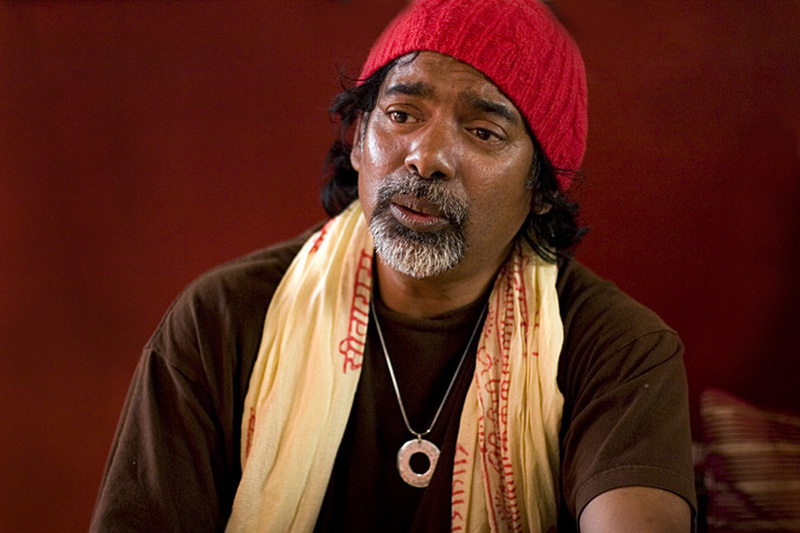 ​He is the author of 3 books on Baul, dating back to the 1980's, all out of print. A new book should be release at the end of 2017 or early 2018 that will be about the Historical Authentic Lineage of Baul originating from Birbhum Bengal India. He is not only a authentic Lineage Baul, Pandit of Indian Music, Music Composer but a Scholar of Indian Philosophy, Sanskrit and a Baul Poet. *It should be noted that no one in this world would know about Baul without this Lineage of Paul who brought Baul to India and the world some 80 or 90 years ago. The Nabani Das Baul Lineage inspired many greats in India they are the pioneers who brought Baul to the world. They are the indigenous Baul's who are the only lineage of Bauls. Baul is now close to extinction and please be warned that the new Baul singers who cut the names of the history of Baul off, taking the songs and the stories that belong to this family then warping it into their story without even acknowledging where they got the idea of Baul from. Creating new stories and making themselves look exotic but they have no roots in the original Baul are Tourist Attractions. It should be noted that just because one calls themselves a Baul and uses this lineages's songs does not mean they are a Baul. Today with the internet anybody can be famous, making up a lineage, it is so simple, all the leg work had been completed decades ago, before the internet. It should also, be noted those that are fundraising in the name of Baul are not Baul. Baul has already been preserved long ago and recorded with all the major record companies in India, including Hindustani Records that is why the new Baul singers have songs to sing but they should give credit where credit is due rather that making up different poets names and adding it to themselves singing the songs. In time this will be qualified in the Media and addressed. giving context and his opinions on the using and abusing of his lineage. There is a huge disconnect between the real Baul and these new age singers who are making up lineages. A Cultural MIS-appropriation of his lineages songs and practices. ​at this and Baul is near extinction. It is time to set the record straight and qualify what and who is Baul. Baul does not have it roots in Buddhism, Baul goes back before Buddhism to a time of Radha and Krishna to a time of Shiva. They include Buddhist thought but the new Bauls singers teachings on this are completely misguided and wrong. World Music New York, Los Angles, San Diego, San Francisco, Taiwan, Mauritius, Seattle, Woodstock, Washington, Chicago, London, Germany, and many more over the past 45 years, to be listed soon. Montreal Pop Music Festival, and many, many more dating back to 1972, 1974, 1975 as his family along with Ravi Shankar and others were the Indian Musicians who performed as part of the fundraiser for Bangladesh created and hosted by the Rolling Stones, Beatles ect.. This is when he first met the Mick Jagger. Long time great friend Al Aronowitz, the Father of Rock Journalism, New York Times, Rolling Stones, Washington Post, Village Voice, Billboard. 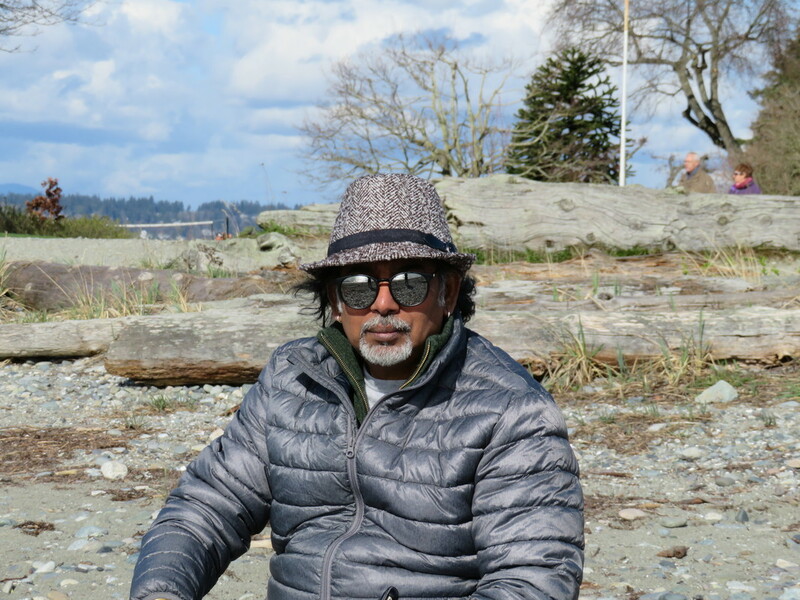 Babu Kishan at the University of British Columbia 2017 standing next to a monument of Rabindranath Tagore! Babu Kishan's uncle is Pranab Mukerjee the President of India he grew up watching Indian Politics from a birds eye view. Pranab on the left sitting beside Babu's mom, his father Purna Das Baul across. Allen Ginsberg and Babukishan 1983, long time friends, Nabani Das Khyapa Baul was the reluctant Baul Guru to Allen from 1962 to the end, it was Ginsberg who wanted to bring Nabani Das Baul to America instead, his 2 sons came and you can see them on the cover of Bob Dylan's album John Westley Harding. Pandit Ravi Shankar & Babu 1980's a long time family friend and Babu used to be friends with his late son. Babu Kishan, The late great sitarist Pandit Ravi Shankar and Ravi Shankar's late son in the back with the hat and glasses on. 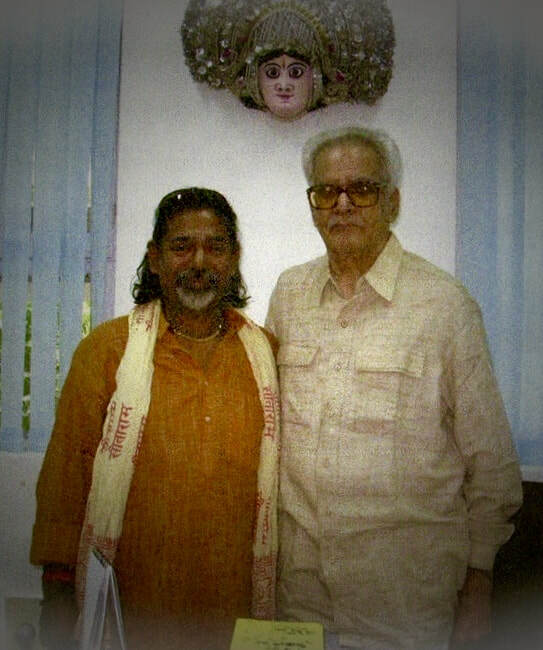 Babu Kishan composed music for Dr.Bhupen Hazarika and was a dear friend spending much time with him privately. 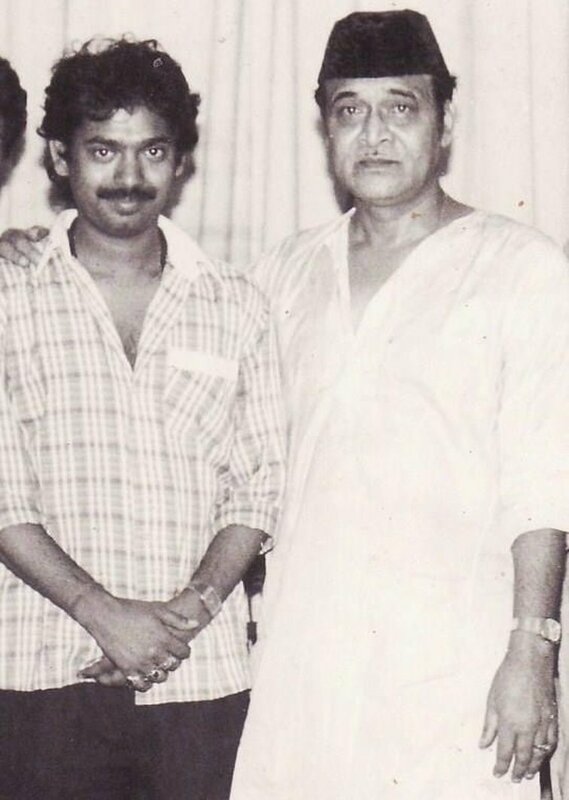 Babu has always loved genius talent and was always was around super intellectual creative types. ​Bhupen Hazarika was one of them. Keith Richards of the Rolling Stones & Babu 2004 in Mumbai, long time friends since Babu was 8 years old. Babu Kishan's long time friend & professor from Calcutta University, Former Information Minister of India, Priya Ranjan Dasmunsi. 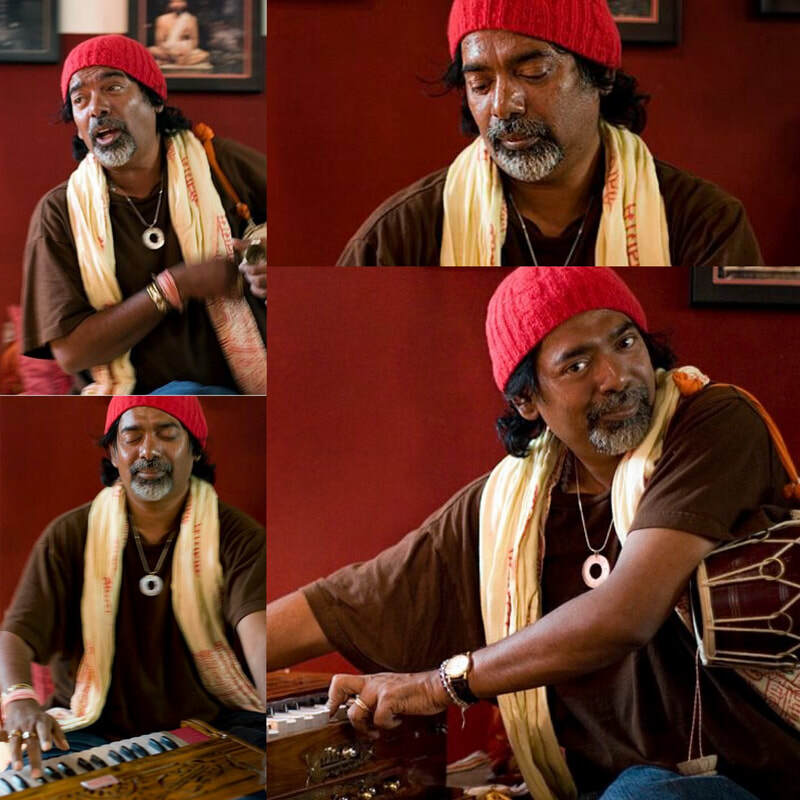 Babu Kishan - Kirtan @ the Kali Mandir in Laguna Beach 2008, Babu Kishan is the person who introduced Usha Elizabeth Harding to the Ramakrishna Mission in Calcutta and encouraged her to write her book on Kali. They first met in 1986 in LA California. Babu Kishan on the left with his Indian Cinema Guru RD Burman whom Babu spent 13 years learning Indian Cinema Music from. ​Many Stories to be told, RD Burman played a big role in Babu Kishan's life, Babu spent almost everyday for years with RD Burman when all others had abandoned him, these pictures I am posting of people with Babu Kishan are not one time events, he has had long lasting relationships with many of these people or worked with them over a long period of time. Time has changed today any fan can have a picture with anybody. These are not fan photo's these are long time working, personal friendship photos. Baboo is Babu Kishan in this picture. 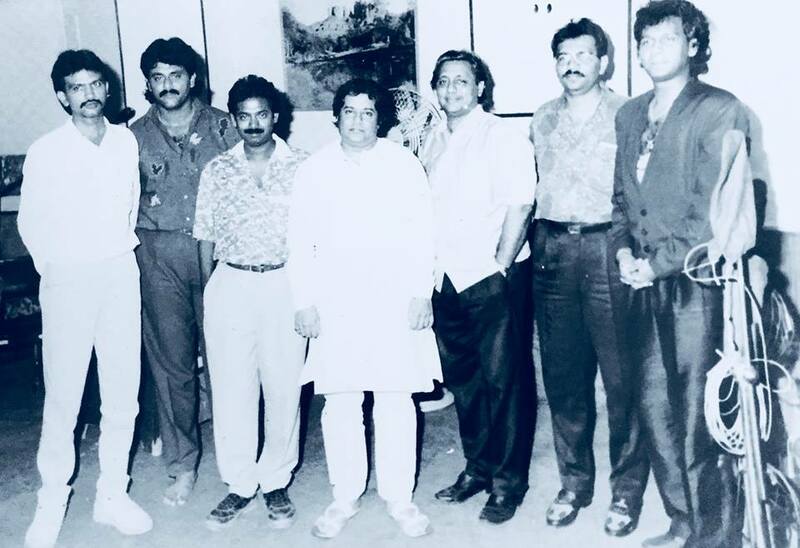 Babu Kishan aka Krishnenedu knew Amitab Bachchana for a very long time, this is a photo of the time when Babu Kishan worked for Amitav Bachchana at his company that was called ABCL. 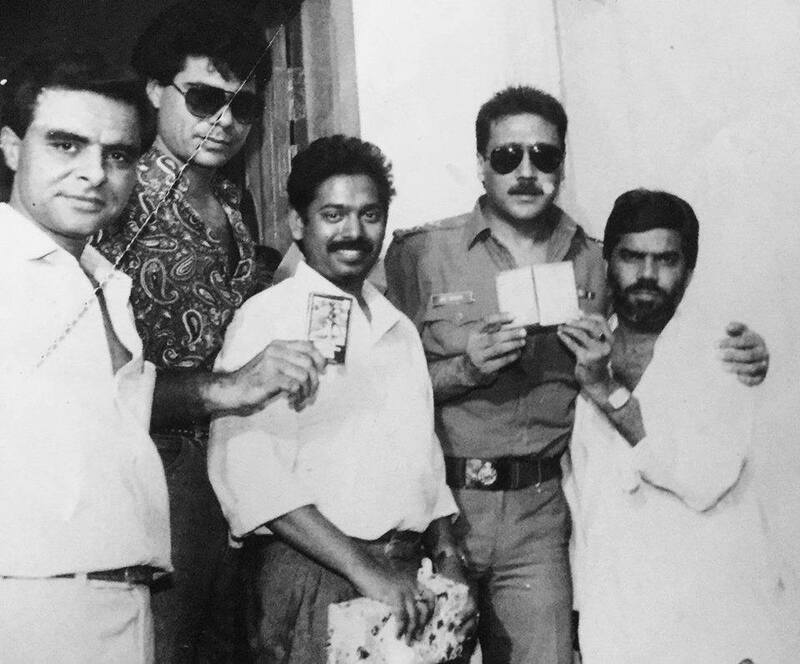 Babu Kishan far right. 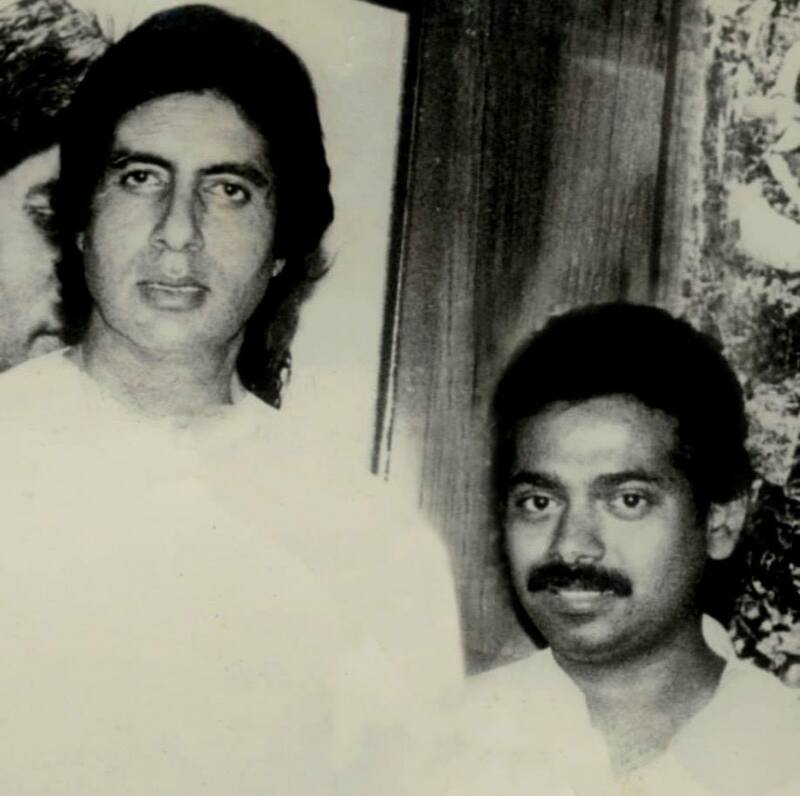 & brother 'Rajesh Roshan' with Babu Kishan in the middle. Legendary Film Actor Dev Anand & Babu Kishan in New York with Shaan. Babu Kishan & David Amran. American composer, conductor, multi-instrumentalist, and author. Hema Malani (Bollywood Dream Girl) & Babu Kishan. Her Mom Jaya Chakravarthy was a very good friend of Babu Kishan's, family friends. 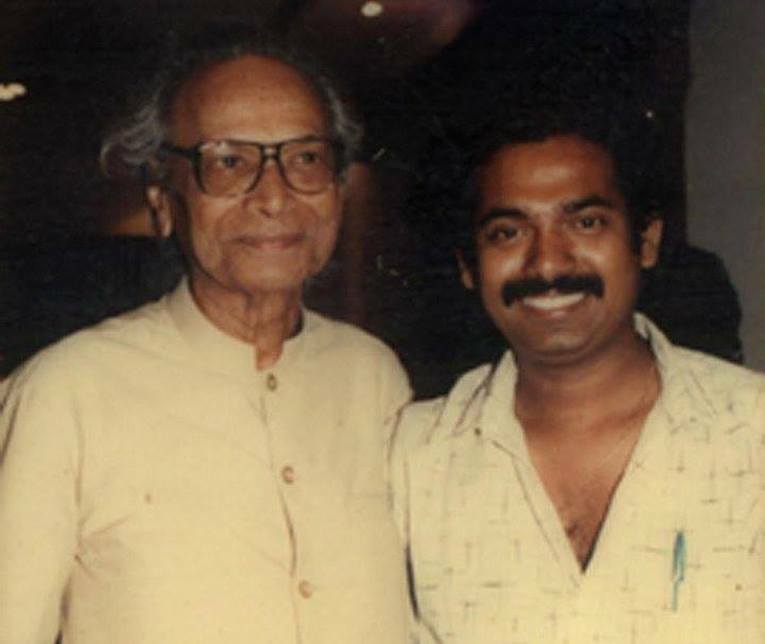 Naushad Ali and Babu Kishan. 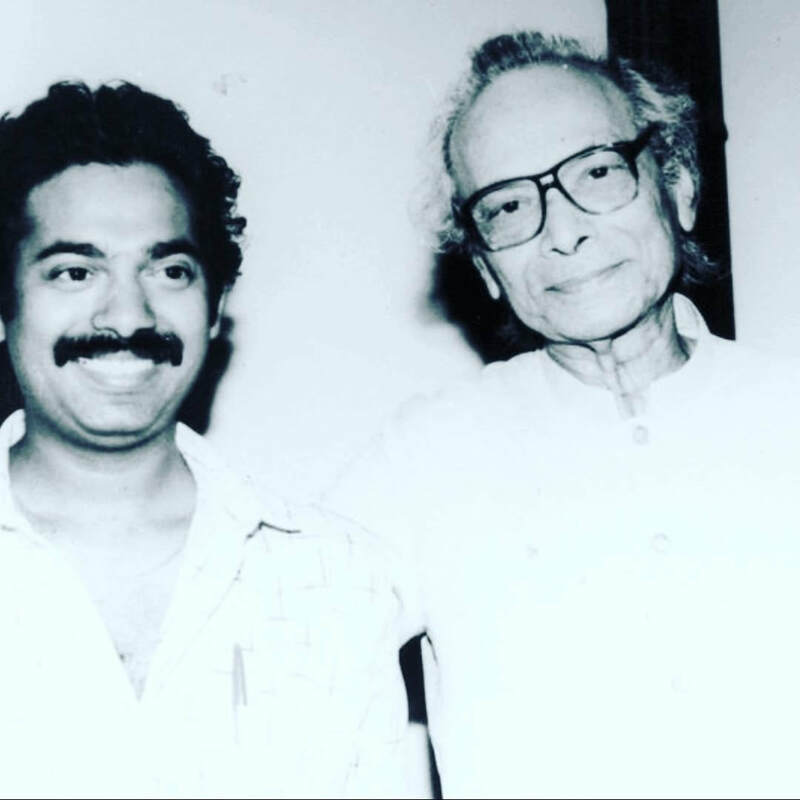 to spent much personal time with Naushad. 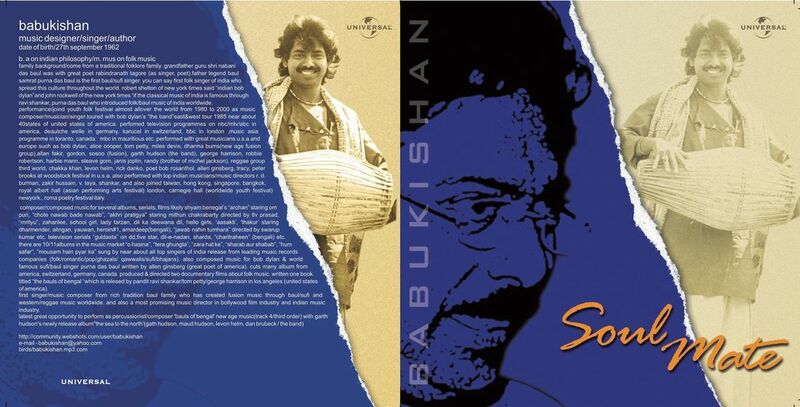 ​Babu has recorded and produced lots of music by both. Govind Nihalani - is an Indian film director, cinematographer, screenwriter and producer, known for his works in Hindi cinema. This photo was taken in 2008. A old friend of Babu Kishan's. ​he has recorded lots of music with her. he has known him since Tollywood in Bengal. 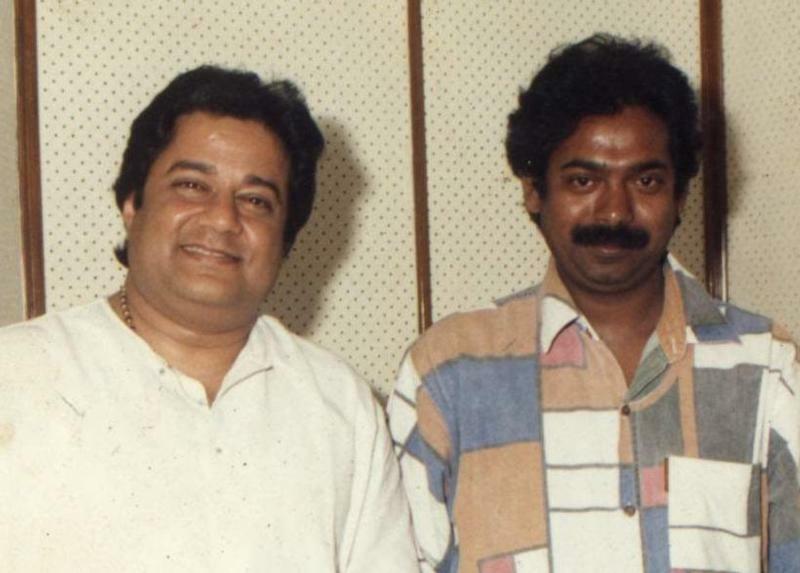 Babu Kishan and Kumar Sanu, long long time friends and Babu Produced lots of his Music. 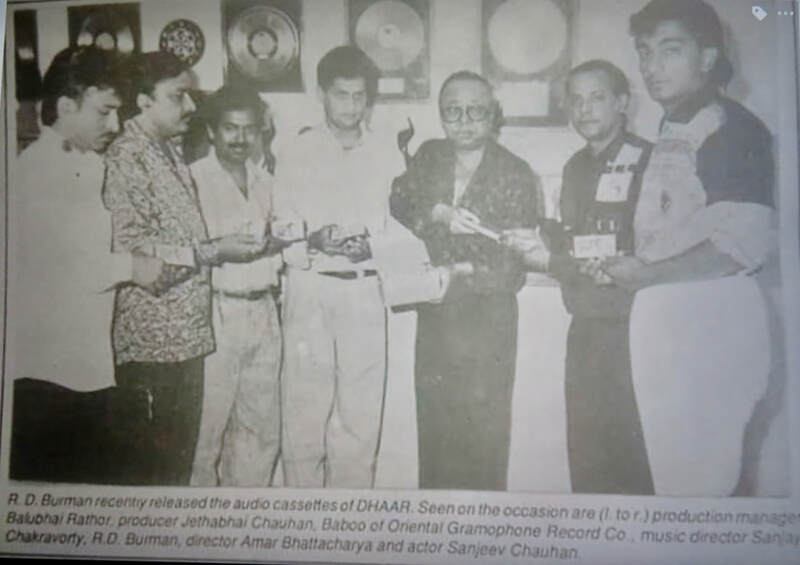 Babu Kishan composing music for his Hindi Film Arohan, star casting Om Puri, Amrish Puri, Victor Banerjee, in this picture Director Shyam Bengal, Lyric writer Niaz Haidar, Singer Purna Das Baul ( Babu Kishan's Dad). 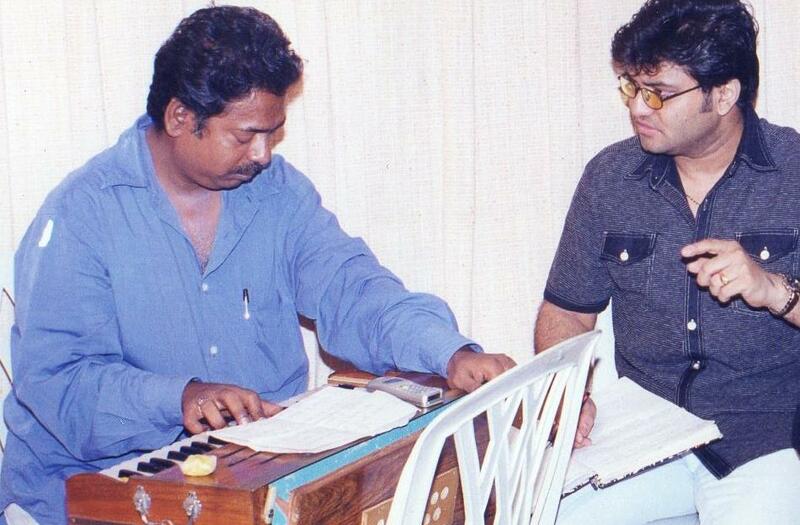 Ravindra Jain and Babu Kishan, Babu composing and writing music for Ravindra Jain. 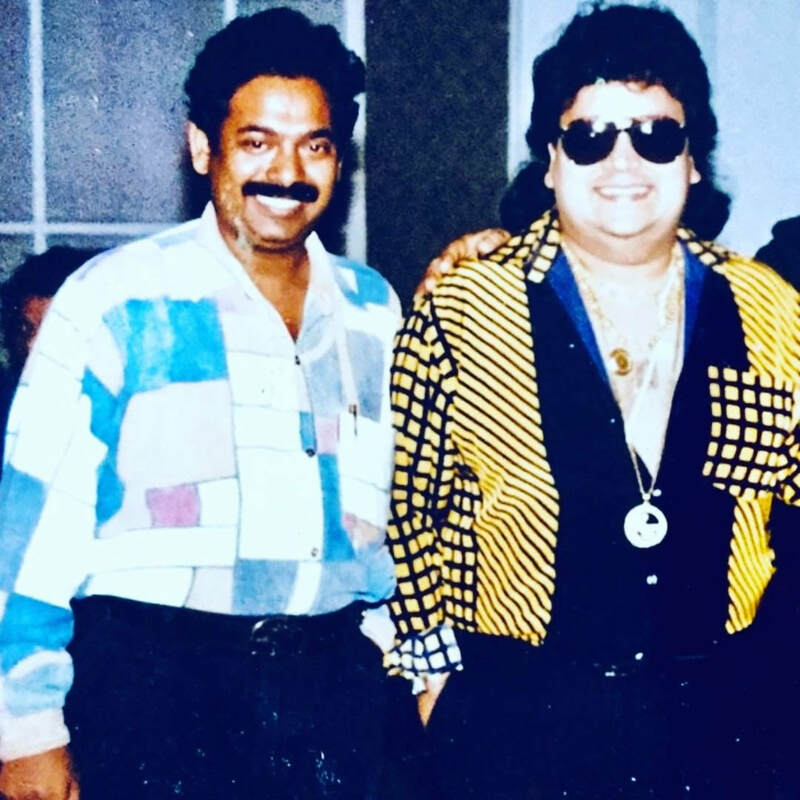 Babu was one of the only people who composed and wrote music for Ravindra Jain because Jain was the top music composer, singer, lyrics and Sanskritist in India. Sunil Dutt and Babukishan, working together, they worked together on a couple films.